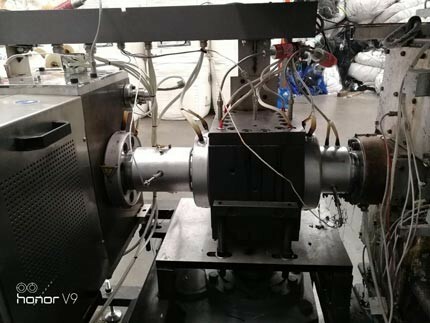 Anji after-sales engineer installed and tested Double Piston Screen Changer, with Large Filtration Area AJSZGB-BF-1600 and AJCB-500 Melt Pump in Thailand sucessfully. 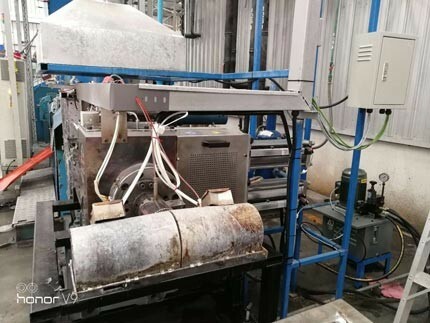 The project is retrofit of an Erema Recycling PET Pelletization line, 600 kg/hr; using the existing Erema filter for coarse filtration and using ANJI filter for fine filtration up to 200 mesh. “Very large filtration area at compact size and enabled a much longer continuous production cycle, up to 24 hours instead of 5 hours without ANJI backflushing system. The cost for mesh screen is greatly reduced and workload for operators is also greatly reduced.” Said the plant manager.